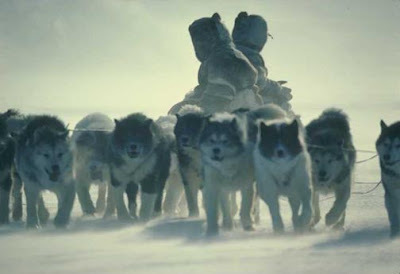 Learn more of the history of mushing by reading about the oldest and most primitive of sled dog breeds, whose descendents still exist, largely unchanged, in the land of their origin. 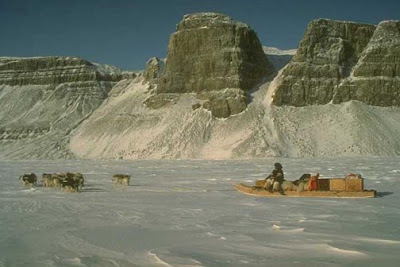 The Inuit Dog: Its Provenance, Environment and History by Ian Kenneth (“Ken”) MacRury is the most comprehensive and scholarly publication of its kind on this 4000 year-old breed, “created and fine tuned” to its many tasks by Nature and the aboriginal peoples of the polar north who first crossed the Bering Bridge into North America and wandered all the way to Greenland. 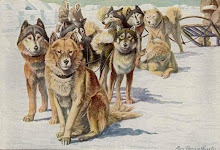 You can find even more about the Inuit Sled Dog within the pages of The Fan Hitch, Journal of the Inuit Sled Dog International, where you will discover a wealth of information on health and science, behavior, adventure, history and much, much more! 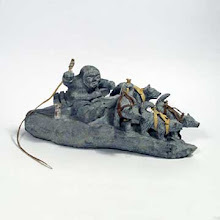 Who Invented Sled Dog Teams?